We have experienced a very high demand for our puppies over the past few years. Its rare that we have puppies available for sale when they are 8 weeks old. We currently have about a 3 month waiting list for our pups. If you are serious about getting a dog from our program we highly suggest placing a deposit. Its most likely the only way that we will be able to sell you a dog. We feel we have created a great system for placing deposits on future puppies/litters. The system is outlined below the deposit lists. Due to the nature of the pet buying business, all deposits are NON REFUNDABLE; so make sure you are serious and ready before committing. When we hold a pup for you, it is taken off the market and other potential buyers will miss out on the opportunity of adopting that puppy at its peak purchasing time. 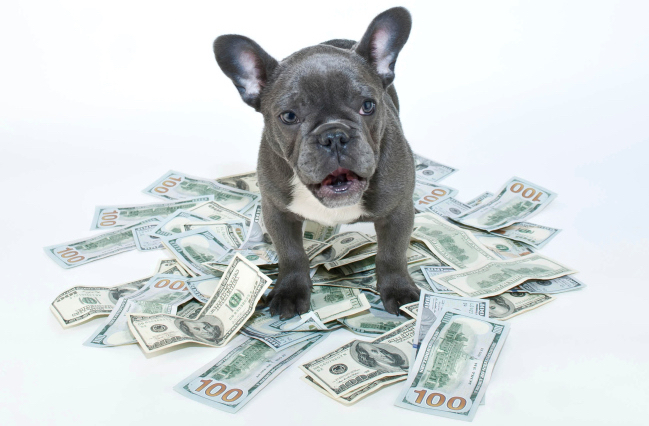 In the unfortunate event that you cannot pay the remaining balance or cannot get the puppy for whatever reason, your money is credited towards any future puppy or stud service from us within the next 5 years. If you are interested in a dog from a future litter please email or call us to discuss. Our puppies are in very high demand, so we suggest you plan in advance if you want a specific puppy from a future breeding. We have created a puppy waiting list for this purpose. Our list is first come first serve. Once you are on our waiting list, you will have priority over future potential buyers. Remaining balance for the puppy is due upon pickup/delivery of puppy.